One of my favorite meals is Roast Prime Rib of Beef. While it may look challenging to prepare, by following my simple tips, I guarantee your Prime Rib will turn out perfect, juicy, and succulent! 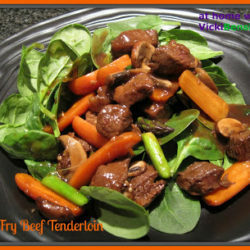 This will be one of the easiest dishes you’ll ever prepare, and is perfect to serve family, and guests for the holidays. Since first posting this recipe back in 2012, I updated it in 2013 with a video after receiving numerous emails, and fears of how it may turn out. I realize purchasing an expensive cut of meat to then prepare, with the chance it could be ruined is terrifying! However, mark my word, if you follow my instructions to the “T” you’ll end up with a stellar piece of prime rib. Watch my video, take notes, and read the instructions below as well. If you’re still on the fence, but desperately want to try this, please contact me and I’ll walk you through it, or gladly Skype a call with you. 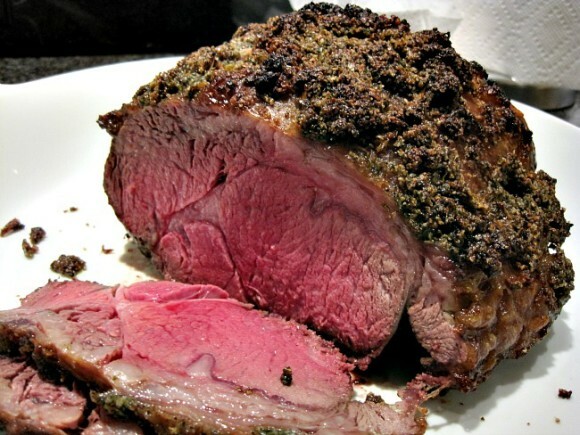 If your family loves beef, they’ll love this – Perfect Herb Crusted Roast Prime Rib of Beef! The ideal entree to wow your guests with this holiday! With a food processor running, drop garlic into processor, blend until finely chopped. Add sage, thyme, oil, salt and pepper, process until paste forms. Pat meat dry with paper towels. Rub meat all over with herb paste. Cover and chill at least 3 hours. (Can be made 1 day ahead. Keep refrigerated). Approximately 1 hour prior to placing Prime Rib into the oven take beef out of the refrigerator and allow to get to room temperature - very important. Preheat oven to 500F degrees. Roasting time? To calculate the amount of time required for a perfectly Roasted Prime Rib, multiply the total weight of the roast by 5 minutes. Be accurate - the amount will be listed on your package. Roast weighs 5.42 pounds. Multiply 5.42 (pounds) by 5 (minutes) which equals = 27.10. This means the meat will roast for 27.10 minutes or approximately 27 minutes at 500F degrees. After 27 minutes immediately turn oven off. DO NOT open oven door during the next 2 hours, the roast is still cooking. This method will cook any size prime rib roast to perfection.....Rare to medium rare, the classic way to prepare prime rib with a crispy crust. Blend together and serve with Rib Roast. This recipe is so delicious and simple. 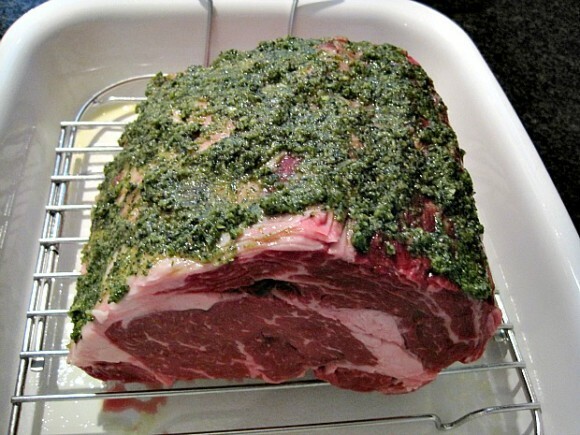 It makes Perfect Prime Rib Roast every time – your family and guests will be amazed! This sounds amazing Vicki! Love that herb coating. I know the aroma must be unbelievable while it’s roasting! The aroma is intoxicating as it spreads through the house. I hope you’ll try this. This is the way my mom used to make rare roast beef! I need to try this with my next roast—plus your herb coating and horseradish sauce look worth trying, too! The herb crust adds just the right amount of flavor. Your mom sounds like she was an incredible cook. I’m sure she was proud of you to see that you followed in her footsteps. Now you have to give it a try again, especially since it’s the holidays. What an amazing roast! I love that herb crust. This is so easy to prepare and the results are an incredibly tender and buttery prime rib. I hope you’ll try this! This is awesome, really awesome. 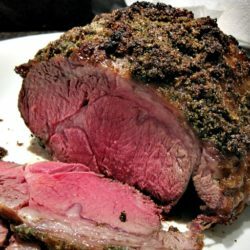 I have never cooked a prime rib, but my husband would die if I made this for him…yes, I am going to follow your instructions to a T and I can’t wait!! I promise it will come out perfect! Your husband will be thrilled as will whomever you serve it to. Have a wonderful holiday! This is how my sister makes her prime rib and she swears by it. She told me that the first time she tried it, she knew she was tossing away a good piece of meat but the method came highly recommended so she threw caution to the wind. I know it can be scary especially since it’s an expensive cut of meat, but yes it comes out perfect. Just be sure no one opens the oven door after it goes in and until it’s time to remove the prime rib. Let me know how it turned out if you make it. Happy Holidays! Now that a perfectly roasted prime rib roast! Just the way I like it. It is perfect! 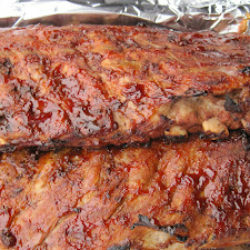 I wonder what kind of spice rub you’d add to this? You’re always so creative. 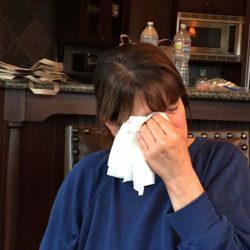 Great recipe and personal advice from Vicki about my 9 pound prime rib! It was truly a hit on our Christmas table! Wow I’m not sure how I’m just seeing this message years later. But I’m glad I’m seeing it. So happy it was a hit! It’s always been successful and a crowd pleaser. Thrilled you had the same success. Sorry for this very delayed reply. If I want my prime rib to be more medium than medium rare, should I cook longer at the 500 degrees or leave in oven longer while it’s off? Either way would probably be fine. I’d probably go for a tad bit longer with the heat on just to insure it’s more well done. For more medium to medium rare, I found adjusting the mins per lb to 6 to 6.5 mins per lb to be perfect. No other adjustments made to the procedure. I don’t know how I missed these comments but happy you were able to make the adjustments to suit the degree of donesness you prefer. Thank you for sharing that here. 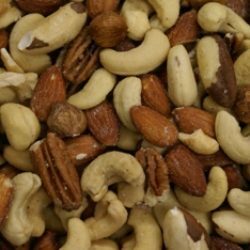 Can this same technique be used for a electric roaster. I couldn’t say for sure since I’ve never tried it. I don’t know how those retain the heat once the elements reach the required temperatures. If you try it and find out please let us know. So sorry for the delay in this reply. I’m not sure how I missed so many of these comments here. I apologize for the delay. So sorry for the delay. For some reason I have missed the notifications for this post. Yes the time would definitely make a difference. You would have to cook it longer to compensate for the bone. The exact amount of time I’m not certain. I’ll try to figure it out and post back here. We have made this foolproof recipe for years now but recently had to get a new range. I was shocked to find out that the temperature can fluctuate as much as 25 degrees and that gas ranges now dispose of the heat in minutes, which makes it impossible for us to use this recipe. Have you encountered this and figured out how to compensate for it? I sure hope so because I have ruined 2 roasts now! We appreciate your fantastic recipes and hope that you are able to modify them to compensate for the EPA regulations! Hi Laura, I’m so sorry for the delay. I don’t know how I missed so many comments here. My suggestion would be to contact the company you purchased the stove from. They might be able to have that answer for you as I’m sure questions such as those have been asked a million times over. When they tell you please come back and share it with us here. So glad you’ve enjoyed this recipe for years. So sorry it’s not working in your new oven. It may be that you have to cook it the entire time now as many prime rib recipes call for. Let us know.